We manufacture and supply a large range of bespoke products that are both fire and non-fire rated, including high-quality external timber doorsets. Forming our Defender Range, our PAS24 external doorsets are fully certified by Secured by Design, a police organisation that works to improve the security of buildings. We recognise that whilst a doorset should serve its purpose to the fullest extent, it should also leave a lasting impression with a beautiful design. 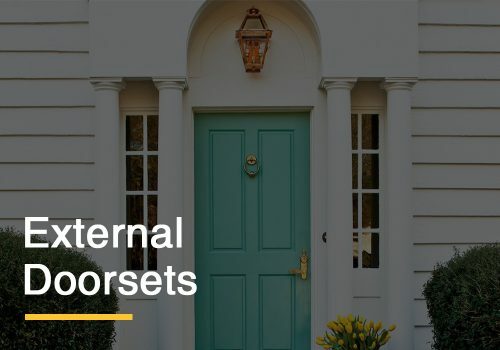 Our external timber doorsets can be supplied factory finished in any standard RAL colour with an expansive choice of fanlights and sidelights which are fully certified. We take pride in our ability to manufacture to bespoke specifications, so whatever style you have in mind, we are here to assist in supplying you with an exceptional doorset to suit your needs. We also offer Hoppe Atlanta handles which are polished chrome as standard but can be customised to your desired finish on request, as well as providing letterplates and metal rain deflectors. Our external timber doorsets can also be provided with an FD30 fire rating. A good quality doorset is essential to withstand the changing weather, therefore our doorsets are vigorously tested for strength and weather performance annually by Exova. In addition, we supply our Defender Range with a weather proof mobility threshold. Whatever your needs, we will take time to identify the kind of environment the doorset will be used in to provide a bespoke solution to fit your exact requirements in colour, dimensions and finish. If you would like more information on our Defender Range, please contact us on 01254 870850. First established in Burnley in 1957, we take great pride in being one of the UK’s leading door manufacturers to various sectors including education, healthcare, residential and leisure. Over the decades, we have built up a highly enviable reputation for providing high-quality internal and external doors with an exceptional level of customer service to match. Now, we operate from our large manufacturing facility in Darwen near Blackburn which allows us to consistently exceed the high demands of our customers whether they are commercial or private. As a family run business, we are home to a tightly-knit team of professionals who understand the bespoke requirements of our customers and are always happy to help with any enquiries you may have. We value safety and security, and this is reflected in our fully compliant product range. We offer a comprehensive selection of bespoke timber products as listed below. Each of our timber doorsets are made to order with your individual needs in mind, and they are delivered across the UK with all necessary components supplied in one package ready for assembly. 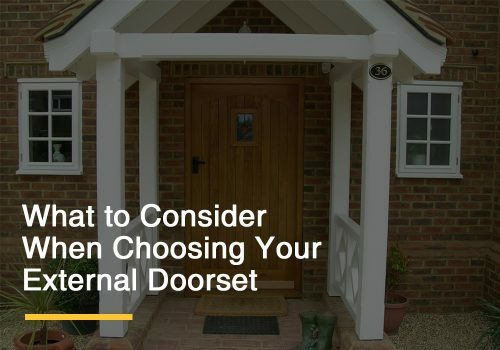 As experienced door manufacturers, our specialist team are able to assist you in finding the perfect door type for your project, ensuring your doorset serves its purpose to its full extent. From colour and finish to size and specific functions, we are confident that we can supply the best solution for you. Alongside our vast product range, we proudly manufacture our doorsets to comply with a host of certifications to ensure safety and peace of mind is at the forefront of what we do. Wherever possible we use sustainable materials to produce our British-made products, aiming to protect the environment with our FSC certification. 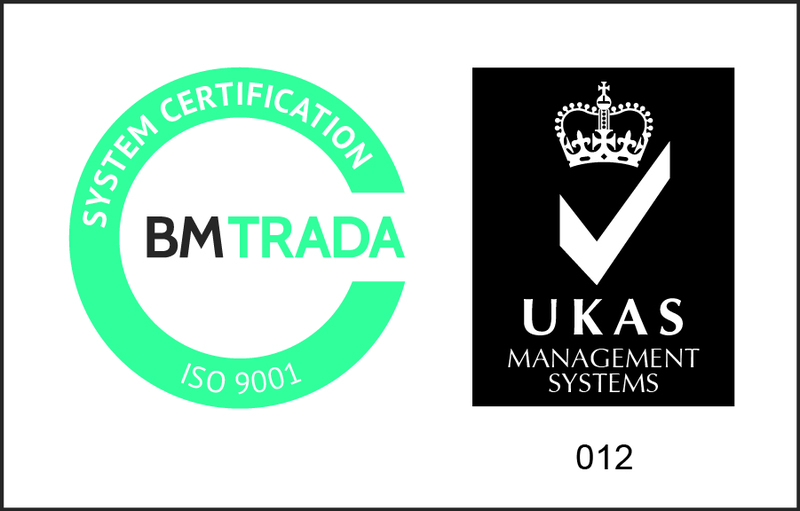 We are also a certified Q-Mark BM TRADA door manufacturer and our internal and external doorsets have been awarded with Secured by Design membership, meaning we adhere to the highest level of standards in our industry. If you’re looking for a dedicated door manufacturer with a keen focus on quality, feel free to contact us on 01254 870 850 to discuss your needs with our friendly team. We are more than happy to provide extra information on any of our certified products. As we all can agree it is currently still difficult with any degree of certainty to make any accurate, and detailed plans with regards to Britain’s exit from the EU. 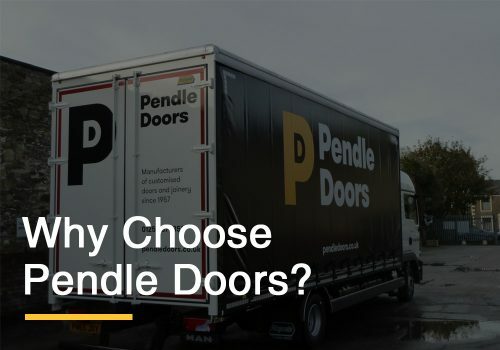 We at Pendle Doors Ltd are preparing our business to ensure that whatever the outcome of any Brexit negotiations that we will have the ability to meet all of our customer’s requirements and ongoing supply. We have been actively working with our key suppliers to understand the risks they may face and any delays to product supply. We have been looking at our high risk product categories and specific core materials with any associated risks. This work is currently ongoing and plans are being put into place with our Key supply chain. We are confident that many of our product categories are at low risk with end products and raw material being sourced from the UK. While some products do come from the EU we will be actively communicating with our customers and suppliers whilst Brexit reaches it’s conclusion. Other steps we have taken to mitigate the impact of Brexit is to increase our current stock holdings and this will be ongoing throughout 2019. Any further questions you may have please do not hesitate to contact me and I assure you our best attention at all times. As a well-established internal and external door manufacturer, we pride ourselves in serving the UK’s commercial and private sectors with the highest quality doors & doorsets. Our progressive team provides a range of bespoke products to several areas, including the healthcare sector. Having built a reliable reputation since the 1950’s, we have extensive knowledge of this sector, understanding the high standards required to complete healthcare construction projects. The complex problems that arise in healthcare demand varying degrees of performance, all of which our bespoke, purpose made doors are able to cater to. 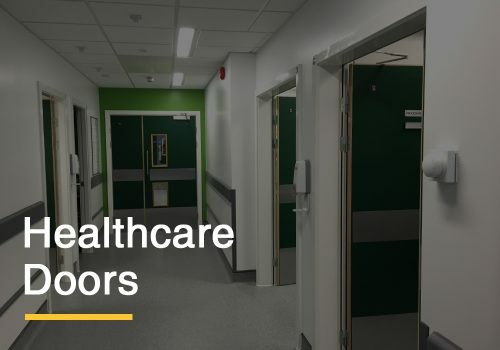 Our Healthcare Range includes HTM (Health Technical Memorandum) doors which are specifically manufactured to suit medical environments, from mental health units to clinics and other medical facilities. Our HTM compliant internal doors are rated as ‘severe duty’ and are tailor made to optimally serve the environment they are installed in. We also manufacture X-Ray doors which are available in a range of lead thicknesses depending on the specification required. Where hygiene and X-Ray protection are of foremost importance, these lead lined doors provide a barrier against radiation. With our complete understanding of current legislation, you can rest assured that our Healthcare Range meets all standards required in a medical environment. Our doors & doorsets are FSC approved and meet fire ratings, and each door is manufactured to the highest possible standard through the application of an effective management system. If you’re looking for a leading UK door manufacturer to assist you in the healthcare sector, contact us on 01254 870850 for more guidance surrounding our fully certified products. Alternatively, you can request a tailored estimate here. We are dedicated to offering a professional service and are always happy to help with any enquiries. We would like to congratulate our dedicated Commercial Director Ian Hartley, who has been with us at Pendle Doors for 15 years. 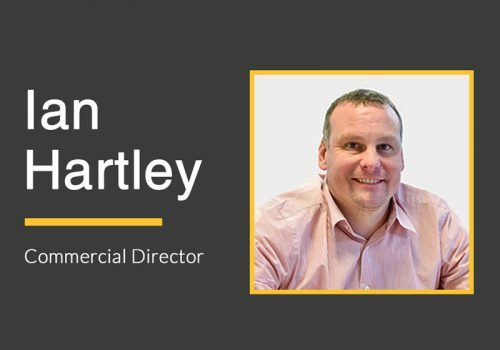 Beginning his journey with us as a Sales Estimator and progressing to his current role as Commercial Director, Ian is our second longest serving member of staff. As a director, Ian’s day-to-day responsibilities include the smooth running of all aspects of the business, allowing our company to maintain its reputation as a dynamic, fully compliant door manufacturer. Supplying to satisfied customers from across the UK, Ian helps as part of our team to ensure we go above and beyond their expectations. We’d like to thank Ian for overseeing the growth of Pendle Doors from 15 personnel to the 35 hardworking team members now contributing to our success. Away from the company, Ian is an avid Manchester United fan and a proud grandad to his grandson Harvey. He plays an integral part in our team and we look forward to many more years of working alongside him. Recognised as one of the UK’s leading manufacturers of secure, high quality doors & doorsets, we proudly hold many certifications to ensure our products excel all standards. We prioritise safety and sustainability, providing an outstanding range of doors to both commercial and private sectors. We are able to produce in our bespoke joinery shop a wide variety of traditionally manufactured external doorsets in a variety of timber specie. In addition to this, our Defender Range external timber doorsets are fully compliant with PAS24 and are Secured by Design certified. This means they offer the highest level of security and are proven to lower the risk of burglary by up to 75%. Moreover, our Defender Range is available in any RAL colour, giving you an extensive choice of over 1,600 colours to suit any specification. We offer over 60 different door styles, which are all made in Britain and can be supplied with fully certified fanlights and sidelights. If you would like further information on our bespoke timber doorsets, or any of our high-quality products, contact our dedicated team on 01254 870850 or send us your enquiry here. Pendle Doors have been one of the UK’s leading manufacturers of modern and contemporary doors since 1957 to the commercial and private sectors. Our purpose is to manufacture safe, quality doors & doorsets that provide security and leave a positive long-lasting impression. They are high quality, British made and come in a range of designs and finishes. We provide a wide variety of doorsets, from bespoke timber to flat entrance, as well as fire, acoustic and healthcare, all manufactured on site to our customers specifications. Our Mortice and Tenon timber doorsets are suitable for both internal and external use. We supply hard and soft wood timber which is tailor-made to your exact requirements. Our customers continue to return to us as we provide top quality produce which is constructed for performance and longevity. If you require flat entrance doorsets for a commercial project, we can manufacture to your exact specifications. These are also PAS24 compliant and Certisecure approved. We are also able to provide ironmongery, including handles and letter plates, as well as polished chrome, smokey chrome, polished gold and black & white, the choice is yours. Pendle also has a range of fire doorsets available. These can be manufactured to FD30, FD60, FD90 and FD120 specification and are available in paint grade, veneered, laminate and acrovyn finishes. When considering fire regulations, we can also provide fully glazed apertures with factory fitted suites of ironmongery. If you are looking for acoustic suitability then we can provide db rated doorsets, perfect for areas where sound isolation and privacy are required. Available in a variety of finishes, they are supplied with the frame, door and seals. Our healthcare range of doorsets are severe duty and specifically made to suit medical environments. We have completed many projects for mental health units, clinics, hospitals and other medical facilities. Our x-ray doors come in various thicknesses of lead, dependent upon your needs. View our full range of doorsets on our website. If you require further information about any of our products, contact our team of experts on 01254 870 850. A door’s a door, right? No, a fire door is an engineered safety device. Here at Pendle Doors Ltd all our fire doors are fully certified. Fire Door Safety Week will take place this year from 24th September until 30th September 2018. This year’s campaign aims to spread public awareness. 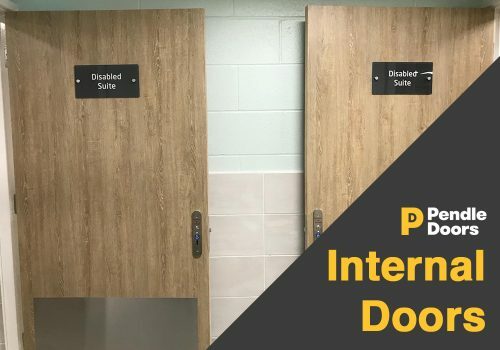 Its purpose is to engage & educate building owners and users on how to ensure they remain safe and reduce risks by having the right fire doors installed. There are about three million new fire doors bought and installed every year in the UK, the vast majority made from timber. These timber fire doorsets can be neglected for a number of reasons, generally due to incorrect fitting, propped open by others or badly damaged due to a lack of correct and efficient maintenance. What people fail to realise is that these fire doors are usually the first line of defence and therefore could be the difference between life and death. As a result, Fire Door Safety Week was created. 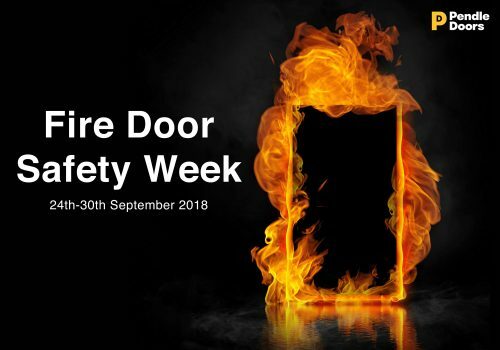 This is a great opportunity to raise awareness of the critical role that fire doors play in everyday life, whether this be around the home, the workplace or everyday public buildings. It will draw attention to issues surrounding poor installation and maintenance, encouraging building owners to check the operation and condition of their fire doors, then replace any that aren’t satisfactory or meet fire regulation standards. To help reduce the risk of fire, these five safety tips have been created by the #FireDoorSafetyWeek team. Check the gaps Check the gaps around the top and sides of the door are consistently less than 4mm when closed. You can use a £1 coin to give a feel for scale, this is about 3mm thick. The gap under the door can be slightly larger (up to 8mm is not uncommon), but it does depend on the door – as a rule of thumb, if you can see light under the door, the gap is likely to be too big. It’s good news if the door fits the frame and it’s not damaged. If not, report it. If the gaps are too big smoke and fire could travel through the cracks. Check the seals Are there any intumescent seals around the door or frame and are they intact with no sign of damage? These seals are usually vital to the fire door’s performance, expanding if in contact with heat to ensure fire (and in some cases smoke) can’t move through the cracks. If not, report it – the door may not be properly maintained and in the intensity of a fire may not protect you long enough. Check the hinges Are the hinges firmly fixed (three or more of them), with no missing or broken screws? If you see problems, report it – the door is obviously not properly maintained and in the intensity of a fire may not perform and hold back the fire for long enough. If you think the building you’re living in, working in or visiting has a faulty fire door, report it to whoever manages or owns the building. Remember, fire doors save life and property. So, if you’re looking for a UK door manufacturer to provide you with quality bespoke timber doorsets, contact us. We know that every door serves a purpose, whether that’s our PAS24 Secured by Design external doorsets for safety and security or a door that will leave that long-lasting impression. Pendle Doors is there to help and protect. Contact us on 01254 870 850 for more information about our bespoke fire doors. We would like to congratulate Joanna Clarke on her first-year work anniversary with us here at Pendle Doors. Known to us all as Jo, we would like to take this opportunity to thank her for the contribution, dedication, commitment and hard work shown since she joined our team. Working part time, Jo is responsible for important administration duties attributed to a busy manufacturer of bespoke timber fire doors, dealing with enquiries from both customers and suppliers whilst building and maintaining strong working relationships. 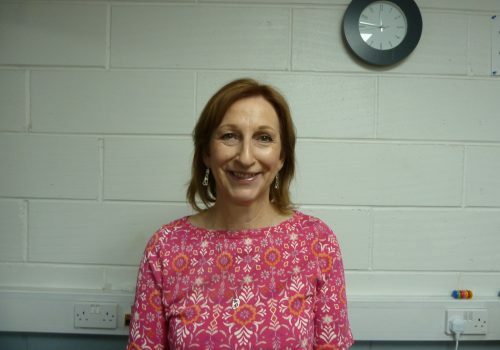 Another aspect of Jo’s role is that of HR support throughout the company. Her skills have helped make her an integral part of our team and we look forward to working with her for many years to come. Please join us in congratulating Jo on her successful first year at Pendle Doors. 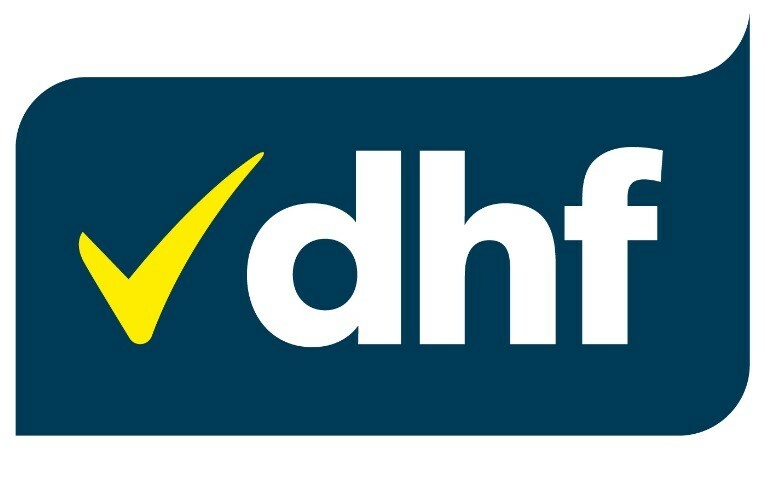 According to the UK government, non-fire-resistant doors in high rise tower blocks should be replaced with doorsets accredited for fire performance by a certified third party. The letter from the Department of Communities and Local Government also went on to explain that these new doors should provide fire resistance for at least 30 minutes. Secured by Design (SBD), the national police crime prevention initiative, announced that it requires not only third-party certification for fire resistance but also for security, to reduce crime rates. Regrettably statistics show when it comes to crimes such as burglaries in the UK, front doors are the main source of access. Therefore, SBD aims to make these as secure as possible. Dual certification is more important than ever as it protects homes and commercial property from both fire and criminal attacks. This new SBD requirement is set to be an ongoing initiative for all manufacturers moving forward from the Grenfell disaster. third-party certification sign off on all security products such as windows and doors. Further to that in 2015, the more in-depth security and fire requirements are contained in the established Approved Document B, that carries an equal weighting under the building regulations in England. All third-party certification therefore requires regular re-tests and production audits to ensure that the quality of the product is assured and maintained over time. This goes above and beyond the one-off testing that was previously required by the building regulations. Pendle Doors Ltd have full third party accreditation and certification for the new dual standard. 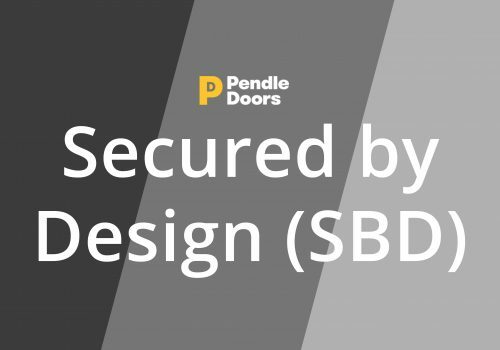 For more information on our range of SBD certified doors please contact us on 01254 870850.